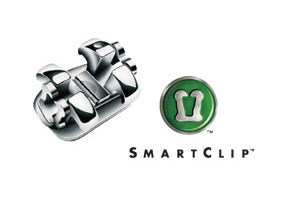 Smartclip self-ligating braces are the modern choice in orthodontics. SmartclipTM braces are different - these braces use small metal clips to hold the archwire into the bracket instead of conventional elastic bands or "ligatures". They use the latest technology which means that you spend less time in the dentist's chair, and maybe even have fewer visits. The Smartclip technology is also available in a tooth-coloured or aesthetic version - Clarity SL appliances. They are made from high-tech ceramic with smooth, rounded edges for a comfortable fit. They are translucent, so they are much less visible than metal braces. And they are the coolest looking braces you'll find anywhere. 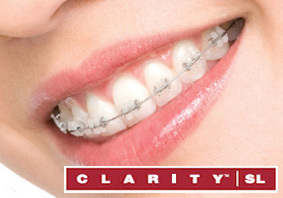 When the time comes to take off your Clarity SL braces, it's good to know that they have been specially designed to be removed quickly and easily. All that will remain is your dazzling new smile.